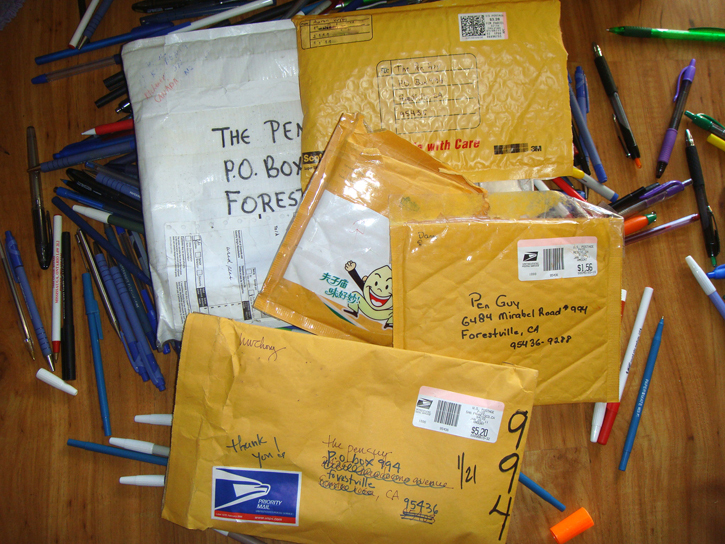 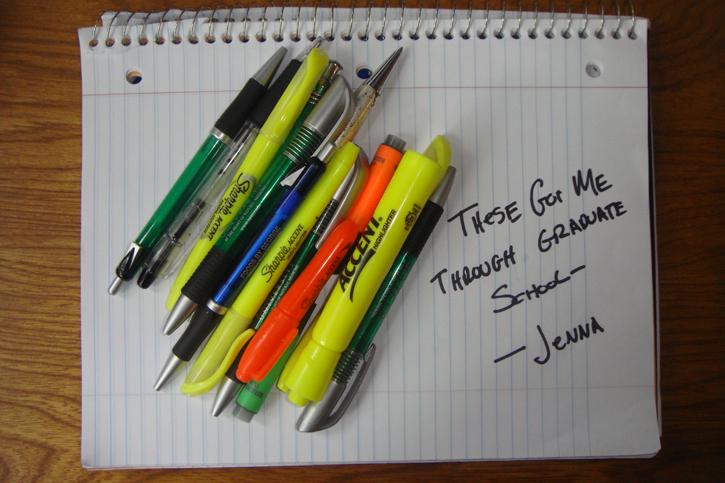 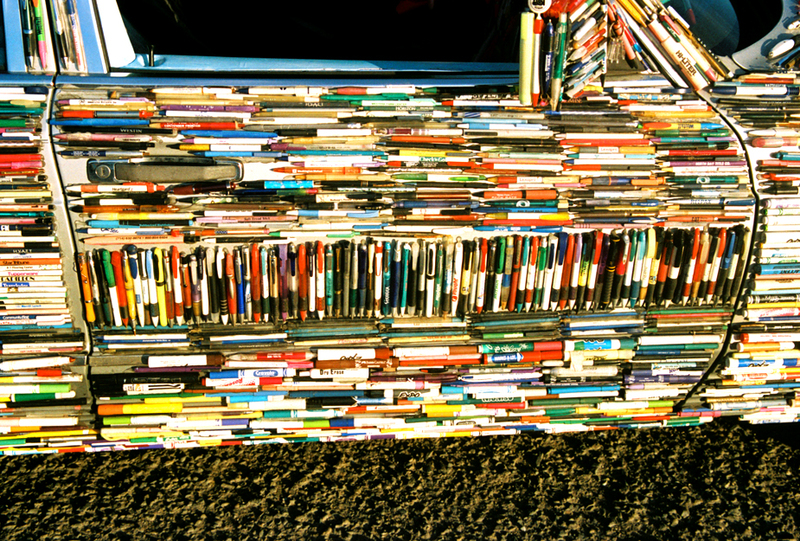 Donated used pens come pouring in every day from around the world by mail. 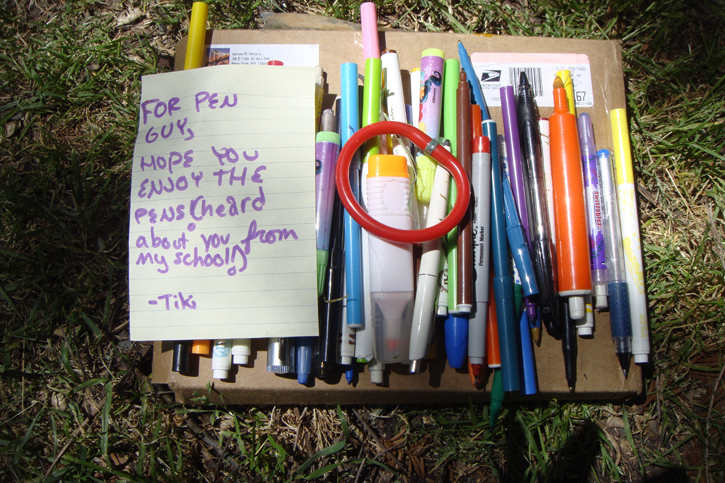 Every package is special and especially those that include a special notes of thanks and appreciation towards The Pen Guy for creating his recycled pen art. 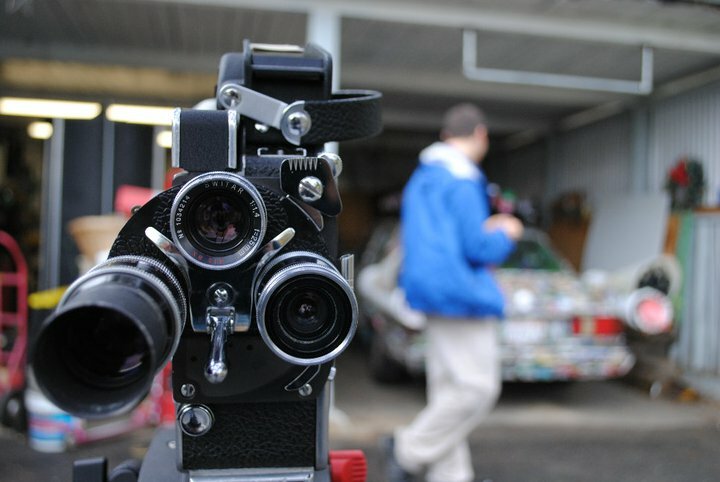 These photos were taken by Adam J. Smith during the filming of "Penultimate" film by Paul Myers. 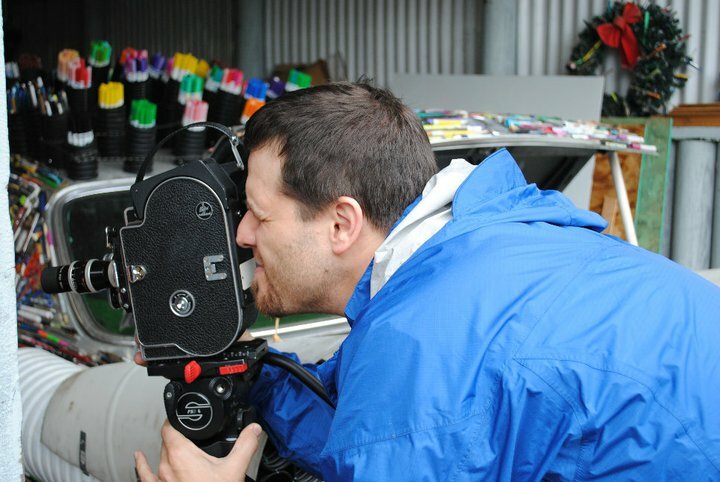 Adam assisted Paul during the film and took photos of the Mercedes Pens and The Pen Guy in action in between shooting. 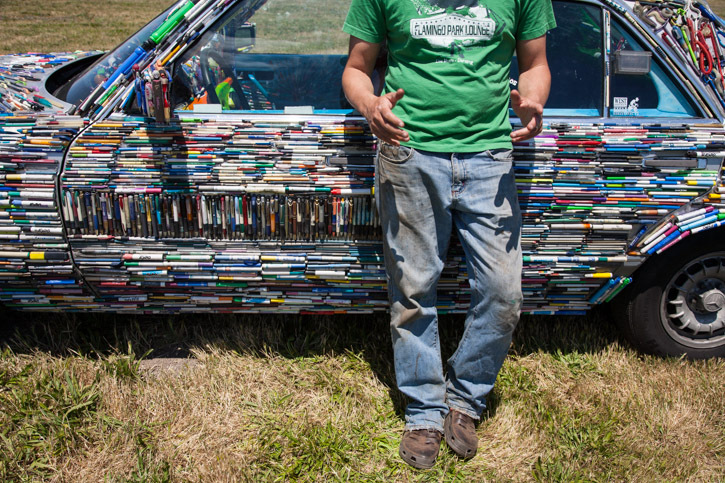 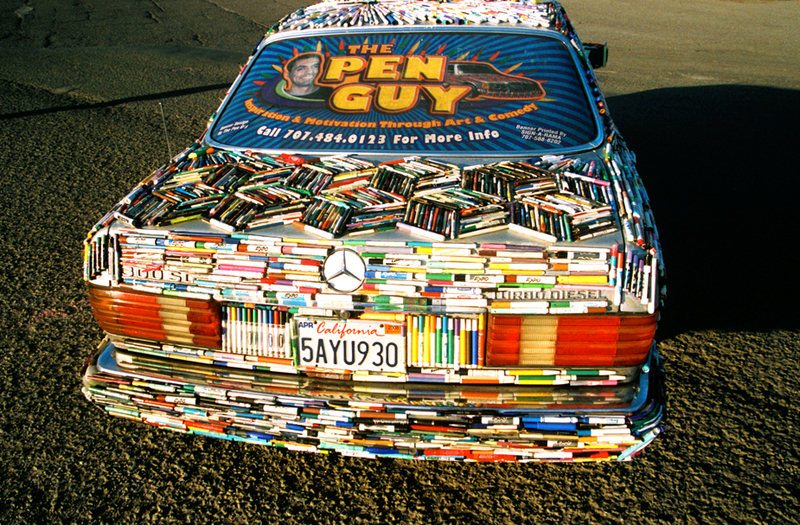 Jason Winshell is an amazing Photographer from San Francisco who approached me to photograph the Mercedes Pens Art Car and the Pen Guy as part of his latest photo essay project called "Creating Sanctuary". 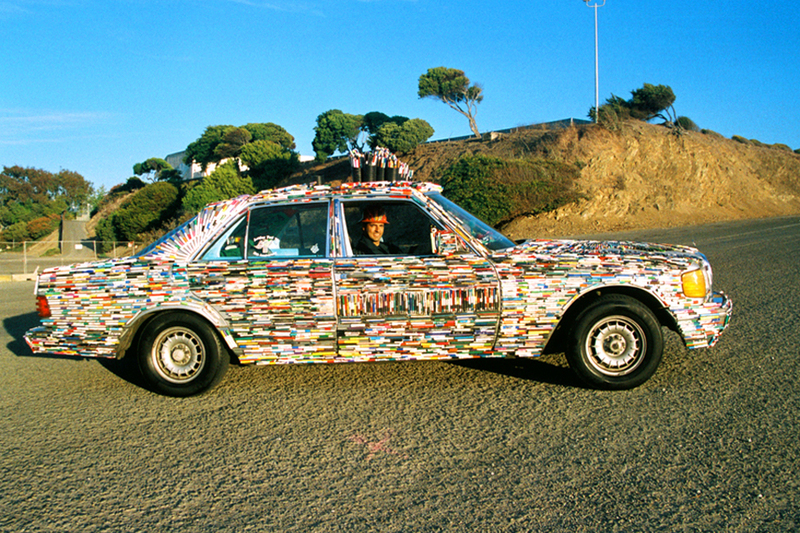 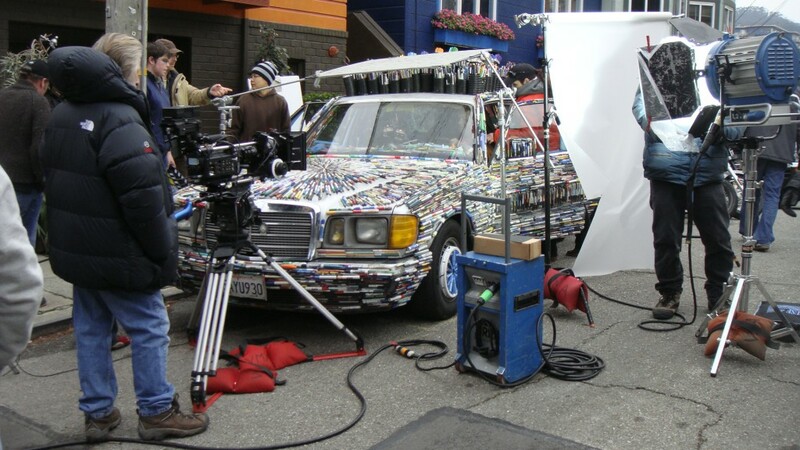 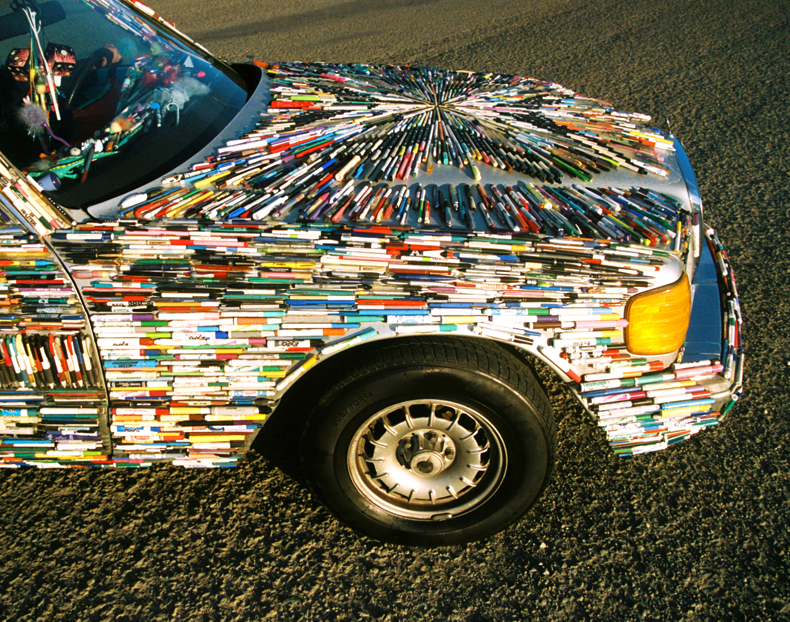 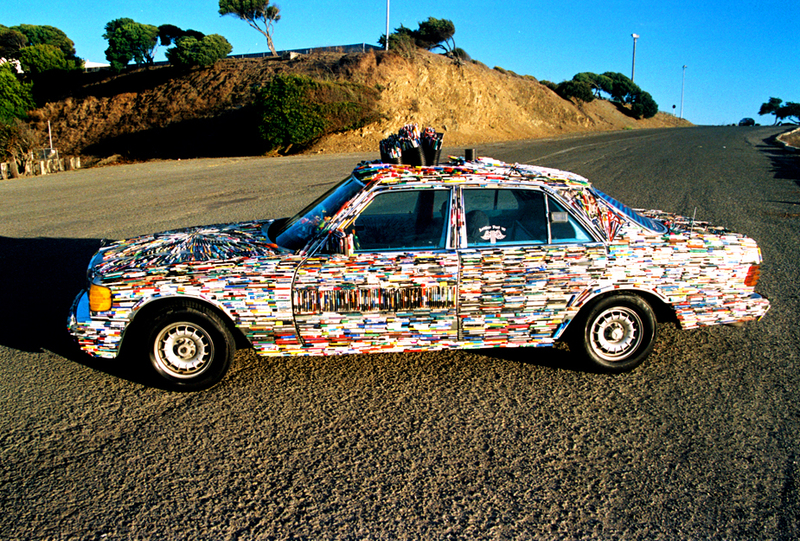 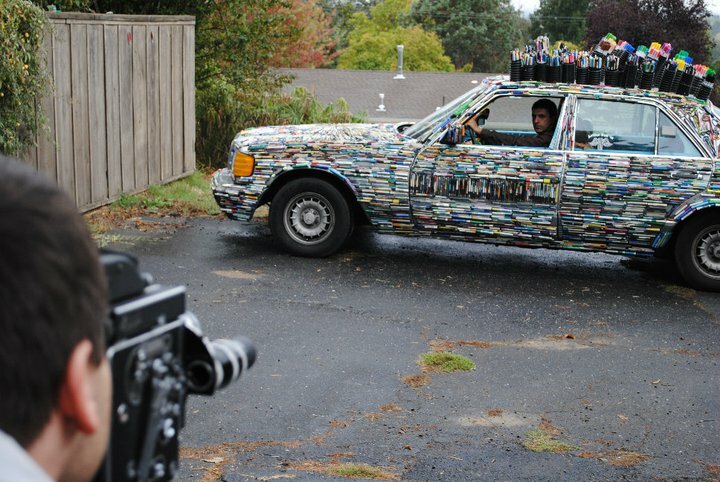 The Mercedes Pens Art Car was filmed in the movie "Doggie B" directed and written by Romanus Wolter. 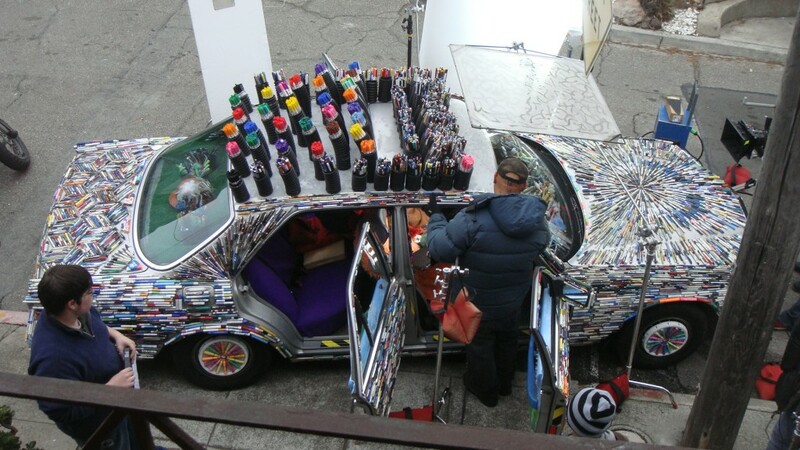 The Mercedes Pens is featured during the opening scene driving down a San Fransisco street with the city in the background. 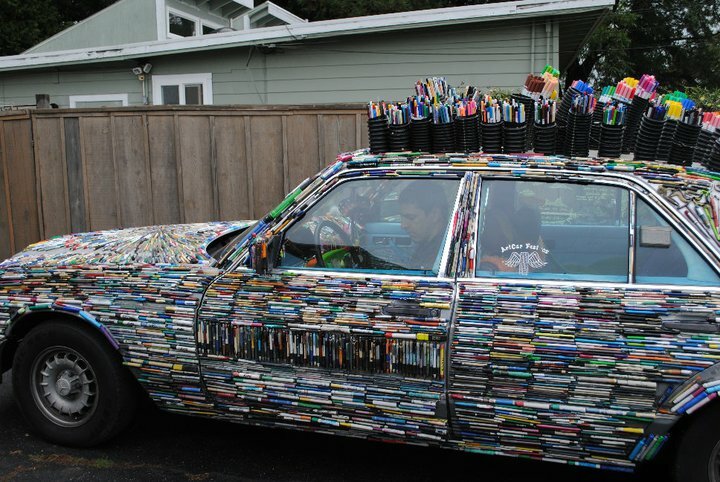 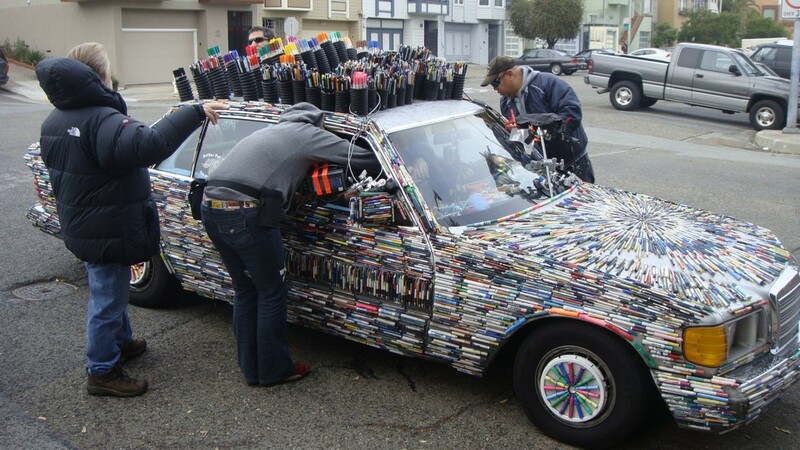 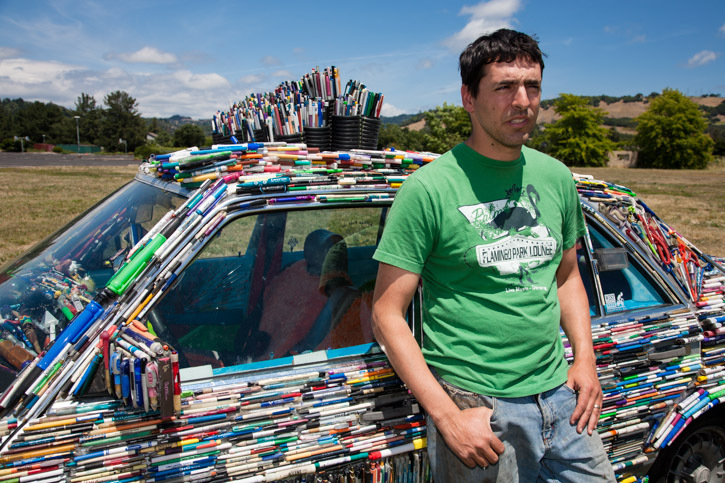 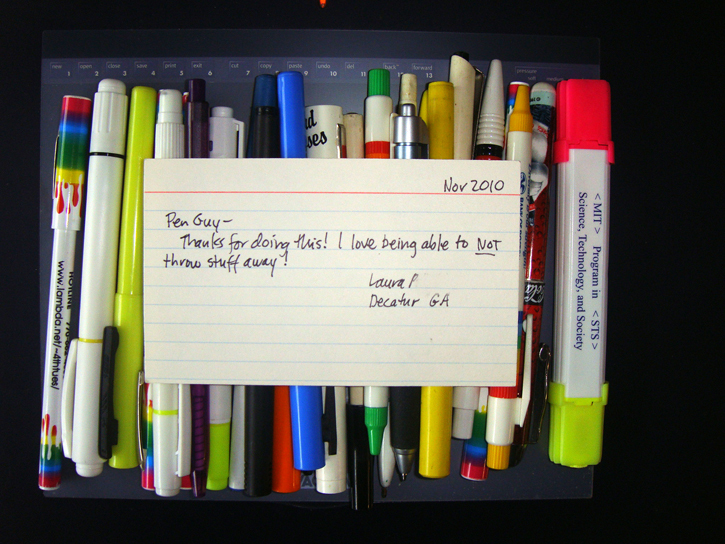 Award winning photographer Cat Cutillo from San Fransisco created a video called "Junkyard Journeys" about The Pen Guy's ongoing dream to collect a million dead pens. 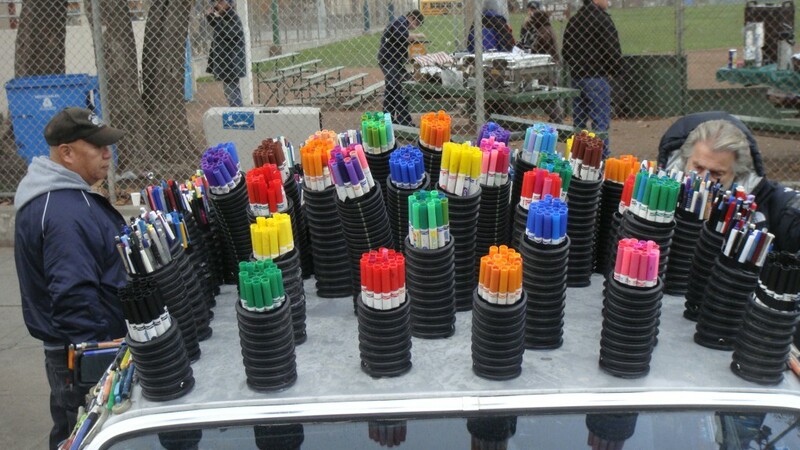 The photos of the Mercedes Pens were taken during the shoot. 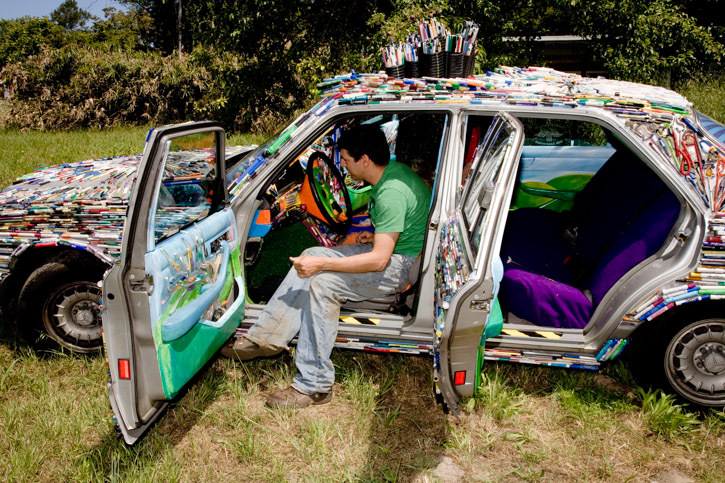 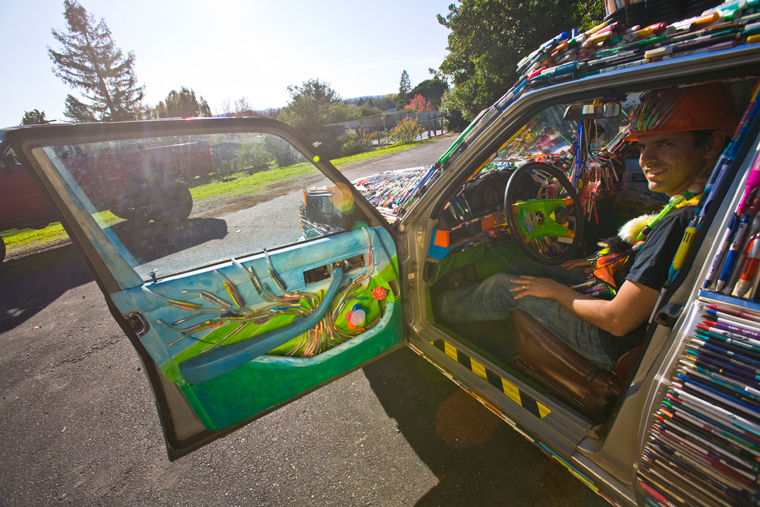 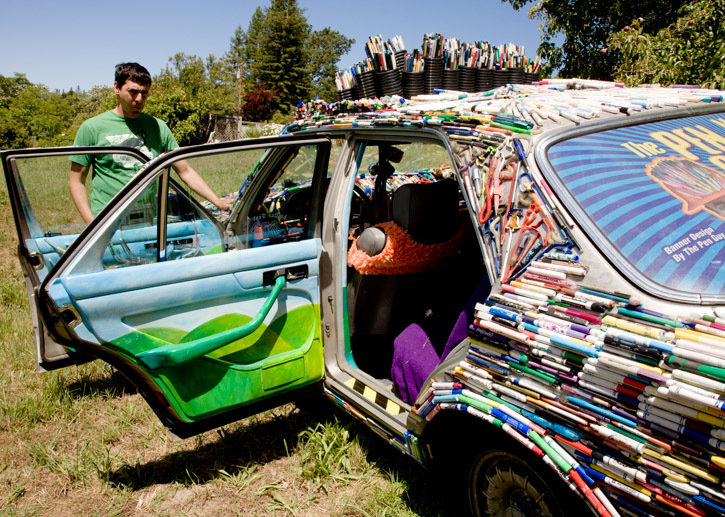 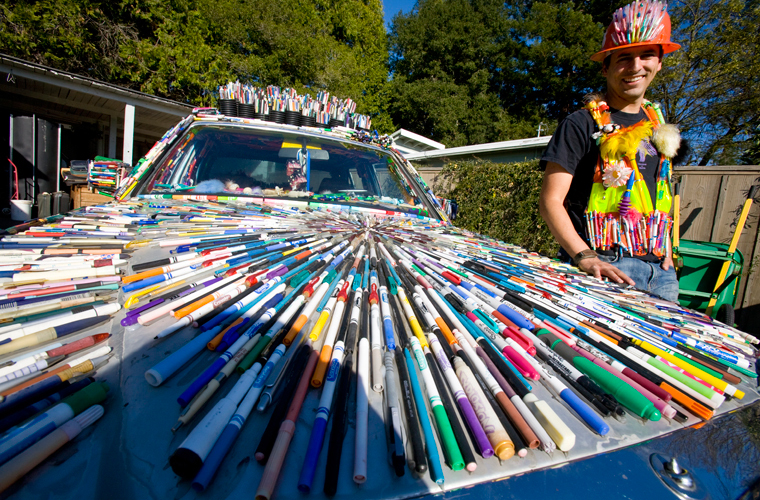 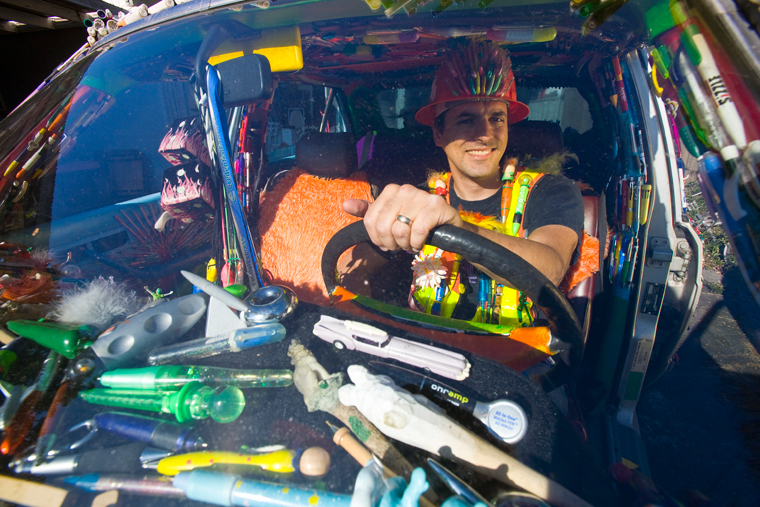 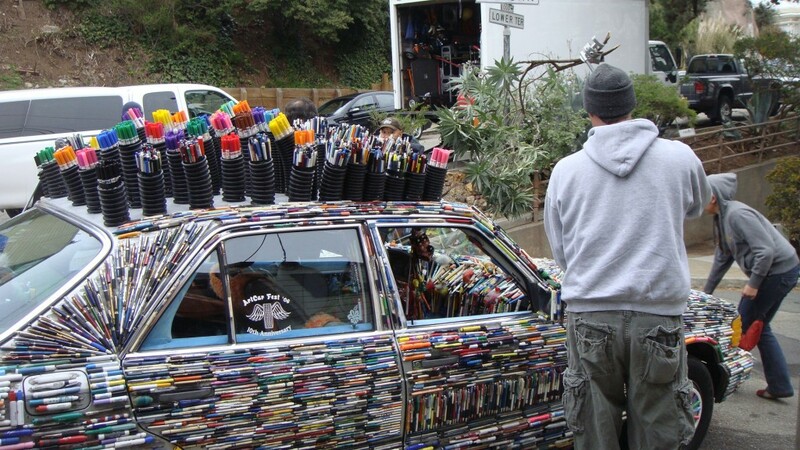 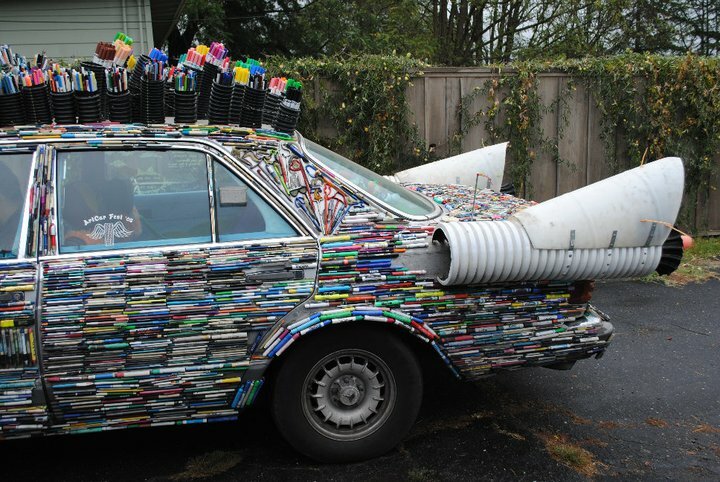 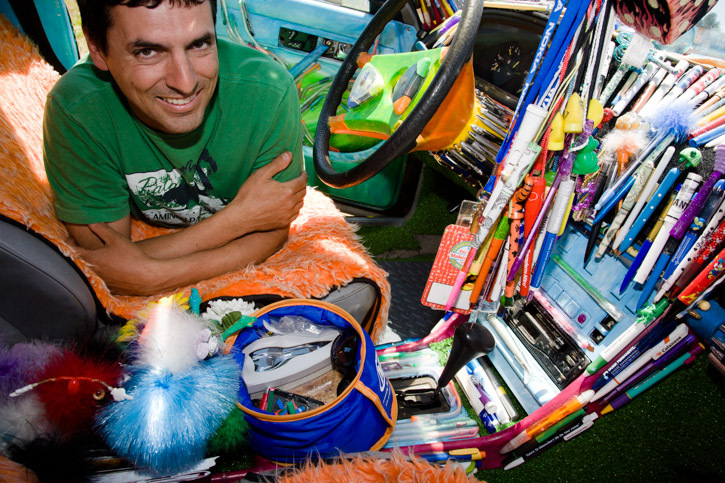 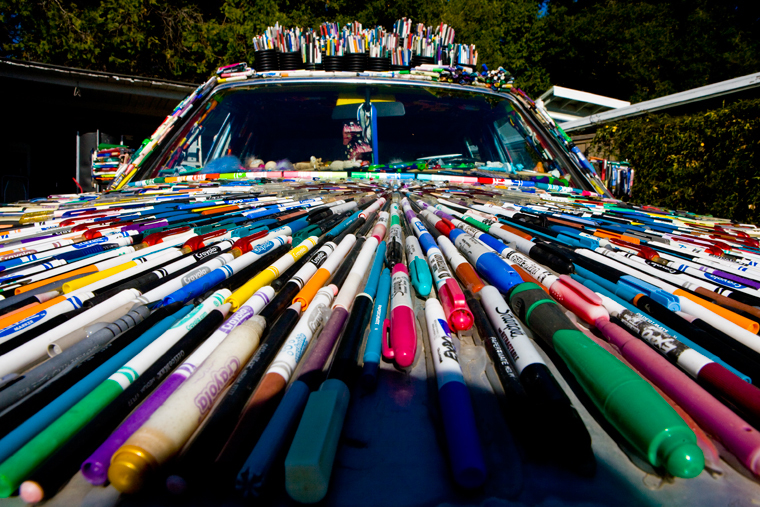 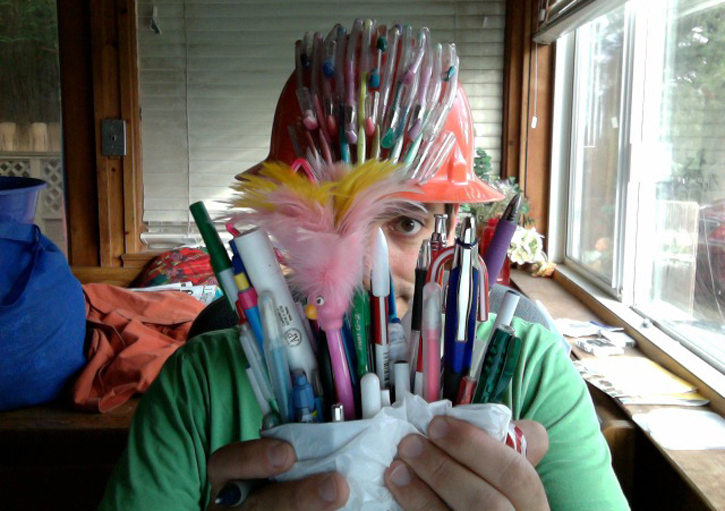 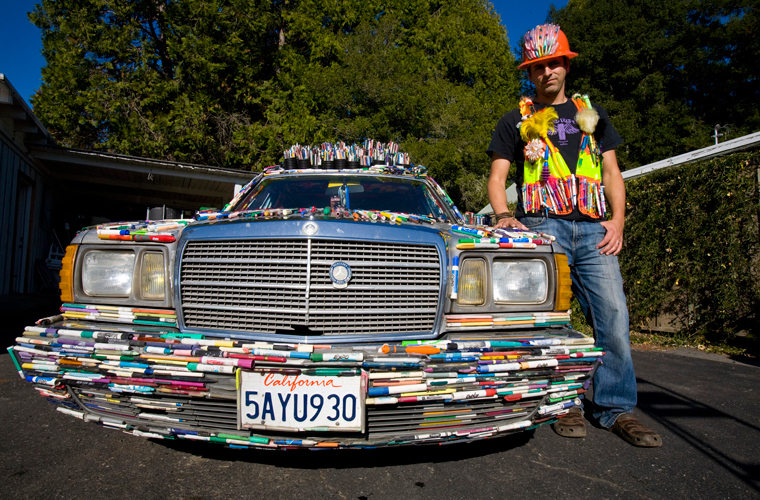 World renown film maker and art car artist Harrod Blank from Berkeley California took these photos of The Pen Guy and his Mercedes Pens Art Car to be included as part of the Art Car Agency web site.